The theatre tells stories about the world and how it changes. So, to help you explore the here and now in as much depth as possible, we provide access to a wide range of plots, themes, and settings. 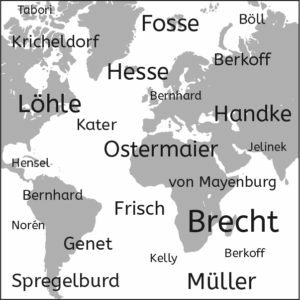 In addition to the classics, including theatrical milestones from the 20th century by Bertolt Brecht, Thomas Bernhard, Heiner Müller, Elfriede Jelinek, Steven Berkoff, Peter Handke, Lars Norén, Jon Fosse, we also offer the work of a selection of young, contemporary playwrights. For example, Marius von Mayenburg, Dennis Kelly, and Stefano Massini, who have gone from being promising youngsters to major players in the world of European theatre. We have made seeking out new playwrights a central element of our business, and this is why our selection of works is constantly being updated, as are the translations available for plays. Although Zachar International began by principally working with playwrights writing in Italian and German, it has slowly broadened its horizons to theatre from other countries, beginning with France, then expanding to include the UK, and Scandinavian and Spanish-speaking countries. 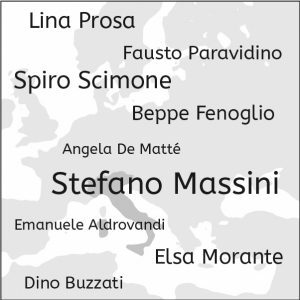 Established relationships have allowed us to promote Italian theatre in Europe and across the world, with high calibre classic playwrights such as Dino Buzzati, Elsa Morante, Beppe Fenoglio, and contemporary playwrights including Stefano Massini, Fausto Paravidino, Lina Prosa, Spiro Scimone, Emanuele Aldrovandi, and the list goes on. The catalogue is constantly being updated, so some playwrights and plays may be missing. If you can’t find the playwright or play that you’re looking for, send us a request via email or fill out a contact form on the Contact page.